The New York Times’ culture writer Jon Caramanica shredded Eminem’s latest attempt to regain pop glory as feeling like shtick. He was unkind enough to write-off Marshall Matthers to ‘a passive and sluggish consumer of pop culture’. This was written in a tone that suggested that his days of being producer are finished. Well, as they say in democracies, everyone is entitled to his/her own opinion and whether you like it or not you have to be ready to lay down your life to defend their right to express it. They say a ‘critic is a person who knows the road but can not drive the car’. 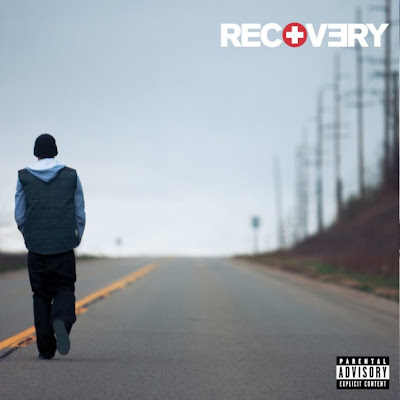 I listened to Recovery (Aftermath/Interscope), Eminem’s latest attempt at putting his demons to rest and I feel I should say that while it is not Eminem’s best work, it sounds like his most noble attempt at reconnecting with his inner self and his fans. In one sentence I can truly say that the whole Eminem album is more like that annoying punchline, “I am whoever I say I am/ and if I wasn’t why would I say I am”. In this album which sounds like the first pit stop from rehab Eminem is finally having that overdue conversation with himself. And while it’s not silent some of what goes on in the head of a successful megastar on prescription drugs makes quite a lot of noise. How many rappers have ever admitted to having jealousy for the success of others in that confession box tone that should take Em some soul-searching to admit that, as Jigga said in Lost Ones, ‘we forgot what we came for’. Matthers will be the frist to admit that when he signed with Aftermath there was nothing in his mind that suggested he was in the game to compete. He was in it to escape the caravan parks of lower Detroit where a city built on the strength of an automobile industry was still failing to bail trash whites from the discomfort of caravan parks. A few meals, couple pills, cases of malt, a messy divorce later and an estrangement from family that he has exploited all the way to the bank he finally admits that he was jealous of Lil Wayne and all the attention he was getting. However true to the new Em, he goes on to feature Wizzy in a joint that authenticates his admiration for the jailed rapper. On the same tone he is man enough to say he feels love for Kanye, Wayne, Jigga and all the other cats who are making good music. Do you remember the Em who trashed everyone from Britney, Vanilla Ice, ‘N Sync and even his own mother? It is collaboration with others that make this Em album one of his all time best. He even takes it back to the Marshall Matthers LP years by singing most of his own hooks – even though Rihanna bails him out as well. 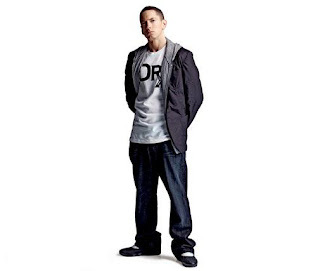 Okay he admits in Talking 2 Myself, “Them last two albums didn’t count/ Encore’ I was on drugs/‘Relapse’ I was flushing them out.” It’s such lack of economy with the truth that makes Em fans to revere him most. But while he would claim Relapse was his detox album it had beautiful jams such as Beautiful. What might have hurt the LP could be his never-ending fascination with trash-rapping and negative-name-calling of people at the top of their game. When he tried to trash Mariah Carey she retaliated with a killer jam where she asked, “why you so obsessed with me”, featuring Gucci Mane. The video treatment was just a spat on the face of the Detroit rapper, portraying him as attention-seeking and love-struck. However with Recovery he tries to be civil again – as if he knows what that means. Gone are his jabs on Christopher Reeve and Christina Aguillera. He only flirtingly mentions Mariah. He sounds like a man who’s done name calling and now just wants to be remembered as the white rapper who flipped the script. Listening to this album gives one a sense of an exit. It all sounds as if Eminem has just said his goodbyes and we won’t be hearing from him ever. His themes sound to have had their run. Rapping about drug and alcohol binges might have hit the right cord with people frustrated by 9/11 but now the listeners want rappers with swag, not drag. While it will be advisable for him to cut his losses and disappear into oblivion. He still has one more card to play – self destruction; cross fingers that it shouldn’t become the title of his next album. He self-praises in No Love, “Cold hearted/ from the day I Bogarted the game, my soul started to rot, fellow/ When I’m not even at my harshest/ you can still get roasted cause Marsh is not mellow".